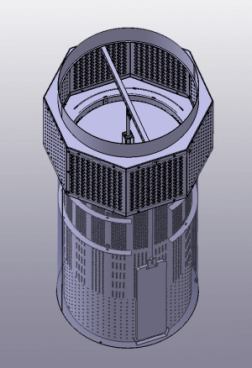 A mechanical element inside the ILQsf automatically distributes the air between the mixed and displacement air diffusers. 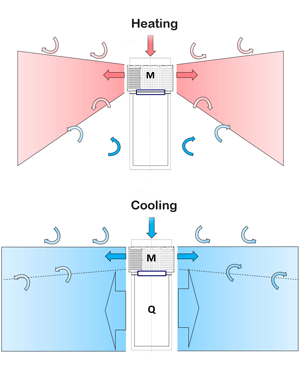 Since this requires neither an electric component nor switching to heating or cooling mode, the ILQsf air diffusers can be fitted instead of conventional air diffusers. This means that resource-preserving on-demand ventilation can easily be implemented even in existing industrial buildings. The ILQsf is available with immediate effect in two sizes, for air flow rates of up to 2648 cfm, and is suitable both for floor mounting and for installation heights of up to 13 feet.